Founded in 2001, Code 42 has been offering solid solutions in the fields of marketing, sales, design and engineering online. They are based in Minneapolis and their precious baby has been named CrashPlan, making a difference on the web and especially when it comes to online backup. Since we share their passion for a secure cyberspace, we cannot stress enough the need for the proper online backup plan that is going to save you in times of emergency. This has been our drive for conducting our review and displaying both the negative and positive aspects of such a service. Let’s see what we have come up with, shall we? CrashPlan provides automatic backup of all your files, including videos and music, photos and all kinds of documents. So, you do not need to worry about having scheduled the backup manually. This service offers free local and offsite backup, as well as infinite online backup at the cloud. Private password and private encryption key allow you to shield your data and never lose sleep over security issues. There are mobile apps for facilitating your overall experience with CrashPlan cloud backup. What has impressed us the most is the fact that you can rest assured that the deleted files will always have room in CrashPlan for you to check up on later. Of course, CrashPlan NAS backup is stellar and super fast, too! There are several options, when it comes to subscribing to CrashPlan backup. First and foremost, you can get free automatic backup to other computers or alternatively to hard drives locally. Then, there is the individual plan that features infinite online storage of your files at the cloud with access to them at all times. This plan starts at $5.99 per month, but can get as low as $189.99 for four years (which brings us at $3.96 per month). This plan only covers a single computer. For 2 and up to 10 different computers, you should go for the family plan. 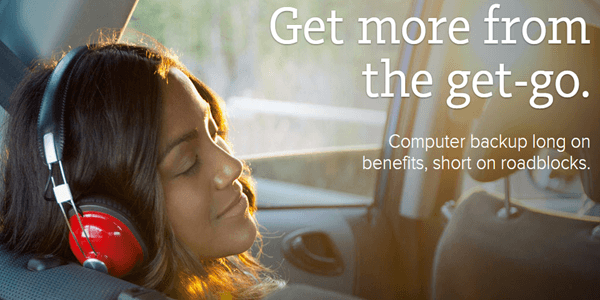 This starts at $13.99 per month and it can go significantly lower for lengthier commitments. In fact, four years are offered at $429.99 and this costs $8.96 monthly. Finally, there are plans that are suitable for businesses and enterprises and you are suggested to contact them for such plans, in order to prepare an offer that is personalized and updated for your own needs. All the plans include a 30 day free trial, without any requirement for credit cards. Unfortunately, PayPal has been suspended from a payment method due to inconveniences and glitches that have emerged and this limits payment options to credit and debit cards (American Express, Visa / MasterCard and Diners Club). This is a great aspect of CrashPlan, indeed. We have tested their live chat and found that they are not only helpful and knowledgeable, but also courteous and eager to answer any inquiry you may have at once. Apart from the live chat (which is live Monday to Friday from 7 a.m. to 5 p.m. US time), there is the option for you to submit a ticket and have the answer sent to you via an email promptly. A phone number is also available at working hours for contacting a representative of the company. 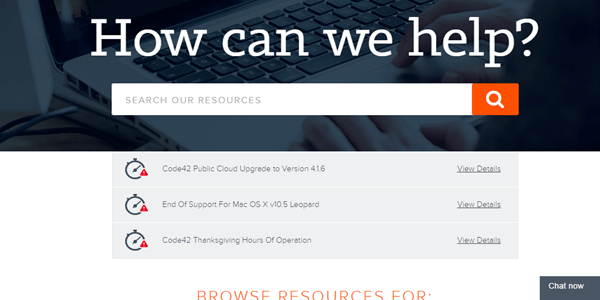 Finally, there are forums and FAQ sections that you can use, as much as videos with descriptive analyses about the product and reviews of CrashPlan for you to navigate through. This certainly enlightens you as to any detail behind the CrashPlan backup engine. What is great about CrashPlan backup sets is its unique compatibility. Besides the fast performance, you will get no problem as to the system requirements of your device. CrashPlan works on Windows (32-bit and 64-bit), Mac and Linux, iOS and Android. There is the CrashPlan mobile app, which allows you to handle your storage on the go and makes things a lot easier for you! The encryption used is advanced; in particular, Blowfish is used all the way (128-bit for the free plan and 448-bit for the premium subscriptions as to the files) and 128-bit AES for the transmission. Now that our review has come to an end, it is the right time for summing up what we have encountered. 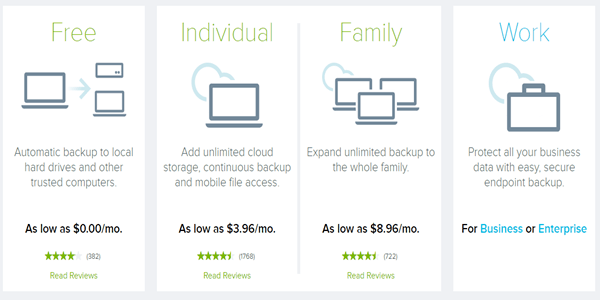 Indeed, CrashPlan offers a highly competitive package for online backup services. They use advanced encryption and they allow unrestricted file sizes and types to be stored at their cloud. We have loved their support and their flexible plans for individuals, families and businesses, even free offers. We have also enjoyed the speed of CrashPlan and the fact that deleted files stay there forever. On the contrary, we did not love the lack of file sharing options and the usage of memory on our devices. As a whole, CrashPlan is one of the best companies in their field and their product is definitely recommended. CrashPlan provides unlimited storage space and no limitation in the file sizes. Along with the fact that deleted versions are stored indefinitely and with the fast speed of the backup process and the impeccable ease of use, it is certainly a great competitor. The only drawbacks are quite minor, including the usage of a lot of memory and the lack of file sharing options.